Two male victims were shot — one fatally — in a quiet Surrey cul-de-sac on Oct. 27. 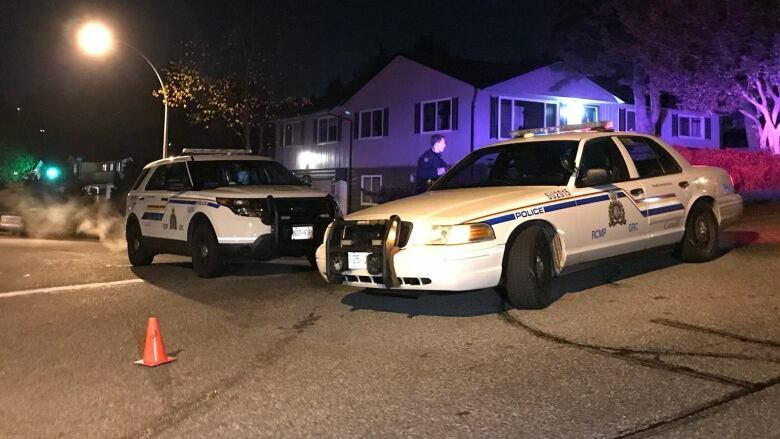 Investigators have identified the victim of a deadly shooting in North Surrey Friday night. Police responded to a report of gunfire to the 11300-block of Alpen Place — a quiet cul-de-sac — just before 9 p.m. PT on Oct. 27. They found two male victims. Randeep Kang, 27, of Vancouver died at the scene. Another victim, not identified by police, was taken to hospital. Kang was known to police and associated with gang activity, and police believe his death was targeted. "This was a brazen shooting in a residential neighbourhood and a blatant disregard for the safety of the public," said Cpl. Frank Jang of the Integrated Homicide Investigation Team. The Surrey RCMP received a call of a dark-coloured SUV on fire on Wellington Drive, a short distance away from the shooting scene, shortly after the shooting. Investigators believe this vehicle may be related to the homicide and anyone with information about this vehicle or any other information about the shooting is asked to contact IHIT at 1-877-551-IHIT (4448) or by email at ihitinfo@rcmp-grc.gc.ca. Anonymous tips can be contributed via Crime Stoppers by phone at 1-800-222-TIPS (8477).